The JISC funded Digitally Ready project, part of the Developing Digital Literacies programme has enabled us to further the work done on the Eduserv funded This Is Me project. By bringing the original project outputs in to University of Reading ownership, the materials are more sustainable, and set in the twin contexts of Digital Literacy and Employability. 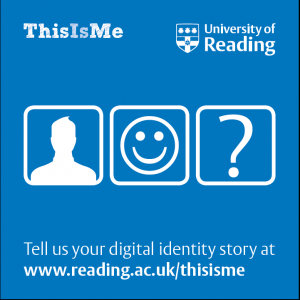 The This Is Me project looked at ways of helping people to learn more about what makes up their Digital Identity (DI) and at ways of developing and enhancing it. “Digital Identity” is made up of multiple parts – it isn’t just what we have published about ourself on the web, but also includes things other people have published about us. 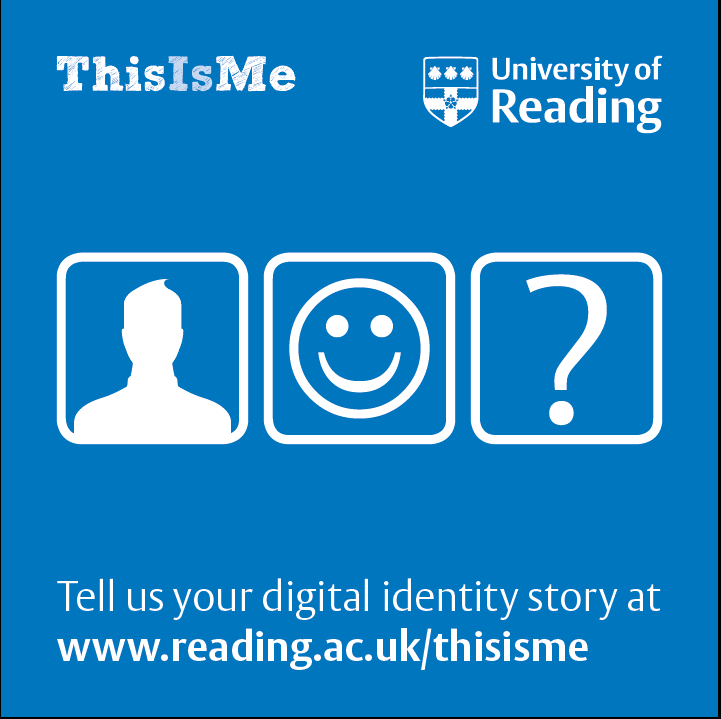 The University of Reading’s CCMS funded a continuation of This Is Me, which ran through until early 2010. The new project looked at helping people get the most from their DI in terms of career aspirations. Following on from this, other people and institutions adopted the This Is Me resources, including creating new versions for NGOs and translations of all or part of the resources in to other languages. We will aim to include copies of these on this site. In an environment where there are many ways to publish material quickly and easily, such as social networking sites (Facebook, MySpace, Bebo, hi5 etc. ), blogging platforms (Blogger, LiveJournal, WordPress, Typepad etc.) and all manner of other ways of expressing yourself on the web, people can find that they have their ‘web presence’ spread across multiple sites. What’s more, other people might post something about you without you knowing about it – and it might be done quite innocently. We developed a number of short exercises and learning materials to help people think about what sorts of issues there are about DI. As part of the process, we asked people for their DI stories, such as why they use social networking sites, whether they have ever had someone find out things they would rather have kept private, and what consideration they put into what information they share on profiles. You are more than welcome to share DI stories with us, to use the materials we post here, and are particularly encouraged to share any feedback you have on how well they worked, or how they needed to be tailored to meet your particular needs. Please Note: This Is Me Activities by This Is Me is licensed under a Creative Commons Attribution-Share Alike 2.0 UK: England & Wales License. You are free to copy, modify and share them. Let us know of any modifications you make – and of your experiences of using them. We are especially happy if you choose to translate them to other languages, and would really appreciate you licensing them under the same license scheme so that the community can benefit. It would be great if you could let us have a copy of any translated versions too!